The spacesuits for the Apollo missions, the AL7 and AL7B, prevented astronauts from exploding or meeting whatever horrible end might befall them in space, but they left a lot of room for improvement. The first model was so rigid that it was difficult to sit. 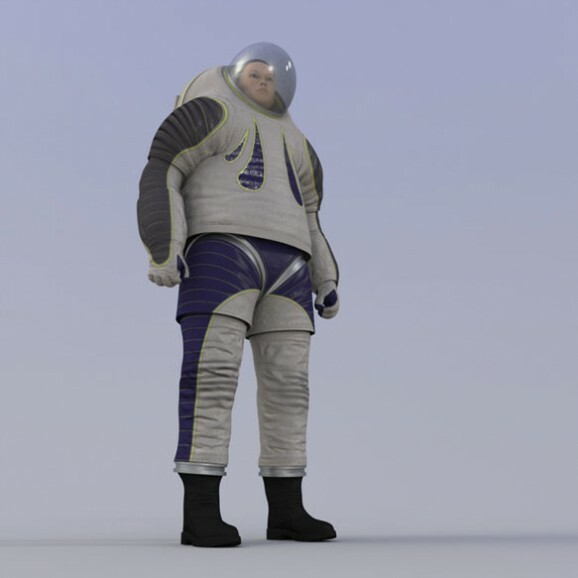 NASA has been redesigning spacesuits ever since, starting with the Z1 prototypes. 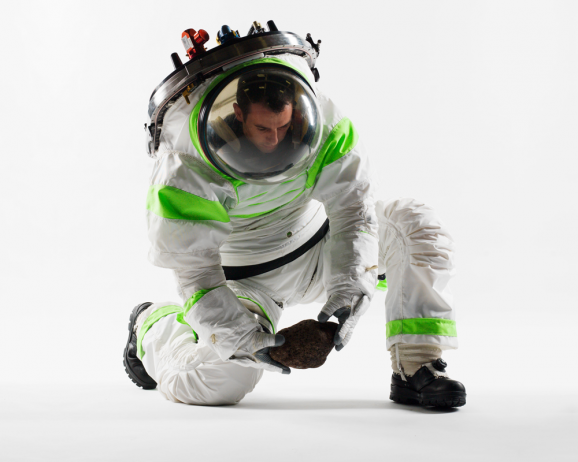 The Z suits have life support systems and are easier to get on and off. They have high-pressure capabilities, but when unpressurized function more or less like normal fabric. They were dubbed the “Buzz Lightyear Suit” for their resemblance to the character in Toy Story. 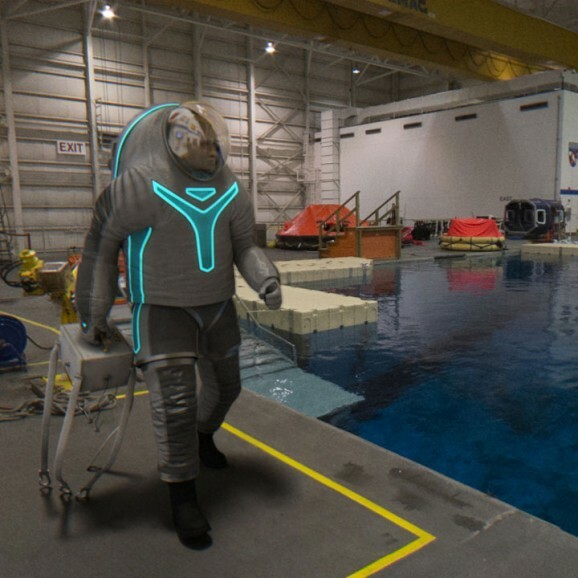 ILC Dover won the contract for the Z2 spacesuit, which will have a hard composite top for better durability, an improved boot, more flexibility around the shoulders and hips, and it will be able to interface with suit ports, air locks, and NASA’s Portable Life Support System. 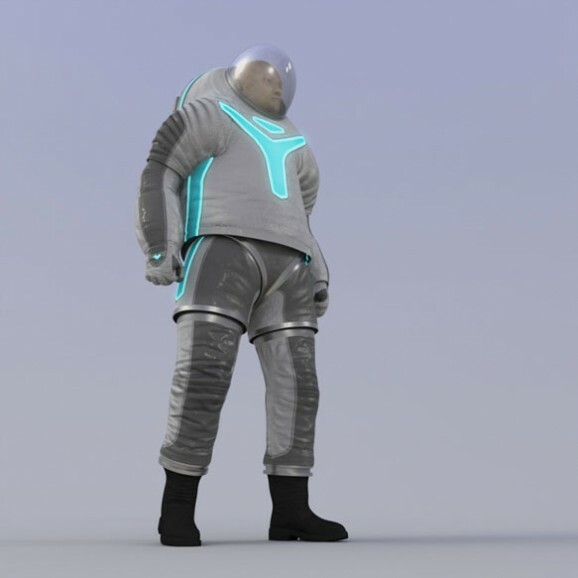 For the first time, the construction of the suit will involve 3D human laser scanning and printed hardware. It’s due for delivery in November with a technology readiness level of 7 (out of 9), which means it has to be tested in a space-like environment, such as the Martian surface analog site, as well as at the Neutral Buoyancy Lab and in vacuum chambers. Now for the designs. The first option is called “Biomimcry,” which draws inspiration from the oceans, specifically bioluminescent sea creatures. 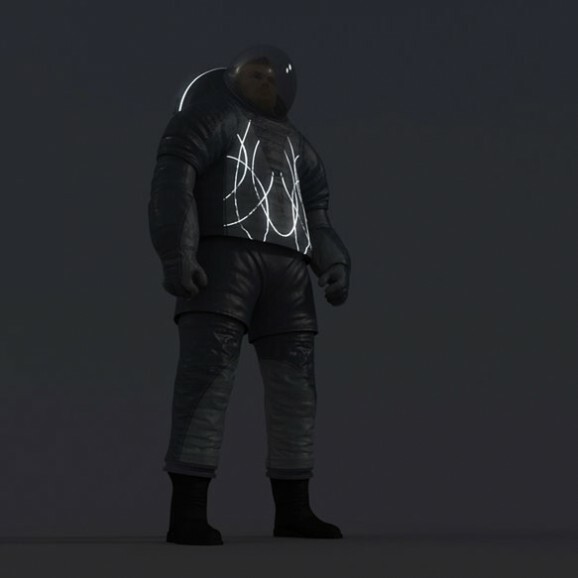 The main feature of this design is the electroluminescent wire that stretches across the chest, which glows in darker environments. It’s also got pleats at the main joints. 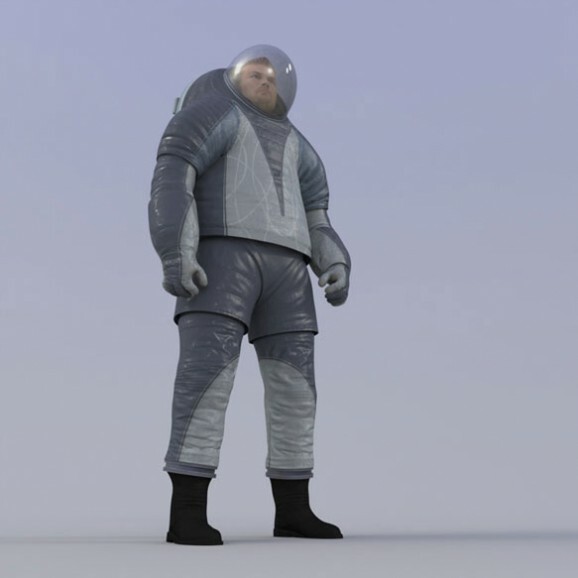 Option two is creatively called “Technology,” which references past spacesuit designs. It has Luminex wire and glowing patches designed both to look cool and to help astronauts appear more visible when on spacewalks. This design also has mobility pleats, as well as scratch-resistant panels. 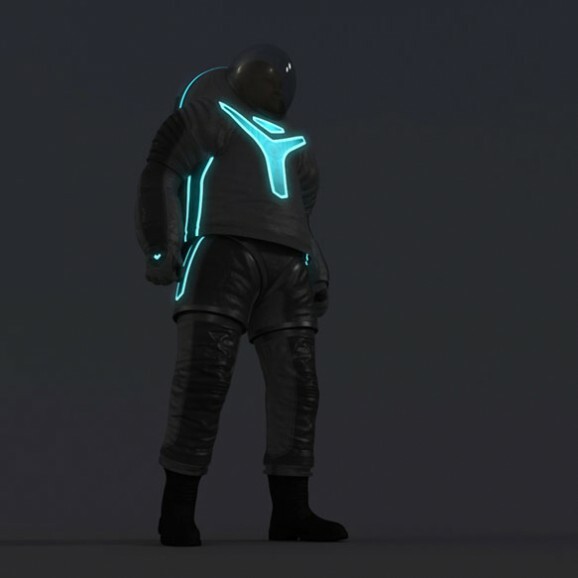 The third prototype is called ‘Trends in Society,” which tries to integrate everyday futuristic fashions into a spacesuit. Huh? Well, I’d rather people dress like this in the future than wear the strange, high-waisted pants so popular in Her. 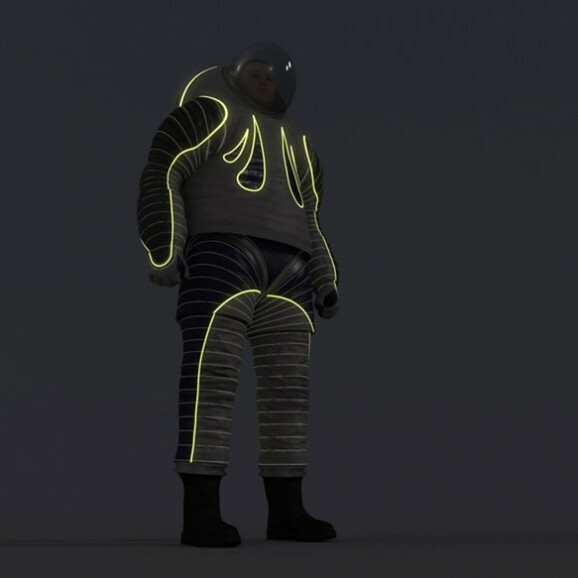 Like the other suits, this one has glow-in-the-dark capabilities, also in the form of an electroluminescent wire. The bright colors are meant to represent current wearable technologies. This one’s got segmented stitching on the limbs, as well as mobility pleating. I just cast my vote, and apparently for the most popular design (you’re going to have to vote yourself in order to see which one it is). We’ll find out which design wins April 30, but right now, one design is running—or, rocketing—away with the competition.